The American, who was already starting as leader, signed his best lap of the week and finished, at -24, seven strokes ahead of Wallace, second. 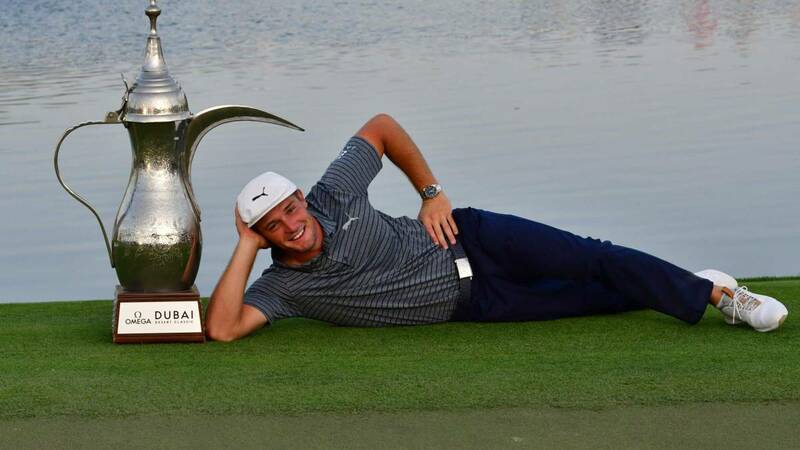 The American Bryson DeChambeau defended his first place to take the title in the Omega Dubai Desert Classic , of the European Circuit of golf, at the end of the last course with 64 strokes, and a total of 264, while the Spaniards Sergio García and Alvaro Quirós finished tied and eight of the winner. English Matt Wallace, with six birdies on the last day, signed the second place , seven strokes of Dechambeau. Su performance in Dubai makes him forget the 2016 when he finished in 18th place, although then participated as an amateur. In the second place, tied with Sergio García y Quirós ac the Englishmen Paul Waring and Ian Poulter, and the Chinese Haotong Li, also with 272 blows.